Last November, I attended a GHS historical marker dedication for former Savannah mayor Malcolm Maclean and afterwards an attendee approached and pulled me aside. Could she kindly make a suggestion? Of course, I replied, bracing for what might be next. To my surprise, her suggestion was about my blog. Being somewhat technologically challenged, as she put it, she requested more written content and less of my podcast. Podcasts were all well and good, but she missed the essays about history and books and hoped that I’d get back to those. I thought about her request when I started this column nearly six months ago, intending to see if I could meet the demands of a weekly deadline while at the same time having fun writing about whatever I was reading. The idea came last spring while perusing through back issues of the Saturday Review of Literature, the venerable weekly that was published between 1924 and 1971 that carried a similar essay. My goal was to keep it short—less than 500 words—and to devote no more than an hour to writing it every week. Alas, I almost always exceeded the word limit and sometimes felt like the preacher Abraham Lincoln famously told a story about. 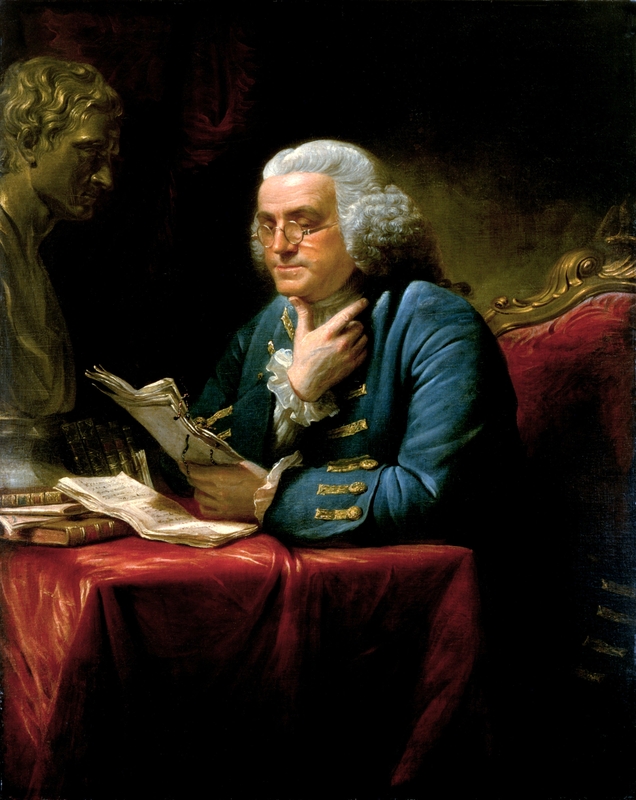 He could have written shorter sermons, the parson confessed, but once he started writing he was too lazy to stop. The truth is, despite what you may believe, it’s much harder and takes more discipline to write 500 words about something you’re interested in than it is to write 1,000. But since I set the rules for this blog, I saw no problem in occasionally breaking them. You, dear reader, were the one who had to pay the price. I also usually spent more than the allotted time, but it was always and always fun. Why, you ask, am I telling you all of this? This marks my 25th offering over nearly six months, and with this entry, “What I’m Reading Now” will go on a temporary sabbatical to make way for the second season of Off the Deaton Path podcasts. This will no doubt be a great relief to many long-suffering readers who will be spared this weekly agony, while horrifying others who dread the prospect of hearing my voice. Just remember, you’ve been warned. I hope the column will appear intermittently over the next six months as time and other duties allow. To everyone who took a moment to read a few words or who provided feedback, I hope you’ll stay for the podcast and come back for more next spring. To one and all, a heartfelt and sincere Thank You. This entry was posted in Books, Culture, Public History, Uncategorized, Writers on September 9, 2018 by Stan Deaton. John Steinbeck is considered to be one of the foremost authors of the 20th century, keeping company with Hemingway, Faulkner, and Fitzgerald. Most of us make our first (and perhaps only) contact with Steinbeck in Of Mice and Men (1937) in high school, or in The Grapes of Wrath (1939), for which he won the 1940 Pulitzer Prize for fiction. In 1962 he won the Nobel Prize for literature, though many thought his best work was decades behind him. He died in New York five days before Christmas in 1968, nearly 50 years ago, at age 66. Long before “On the Road” with Charles Kuralt, and three years following Jack Kerouac’s novel of the same name, Steinbeck set out in the fall of 1960 to re-connect with America and its people. Having lived and worked for so long in New York, he felt he’d lost touch with “real” Americans. 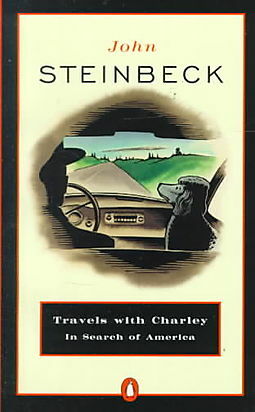 In order to travel anonymously as much as possible so that people would talk freely with him, Steinbeck bought a three-quarter-ton pickup truck, had a camper built for its bed, christened it “Rocinante” after Don Quixote’s famous steed, and set out on the highway with his French poodle Charley on a trek that took him from Maine to California. The camper kept him from signing hotel registers, and he claims never to have been recognized by sight. 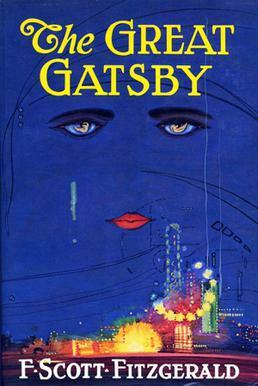 He published the results in 1962 as a work of non-fiction, and critics raved that it was his best work in years. It’s great fun to read, and you can still see the truck and Rocinante at the National Steinbeck Center in Salinas, California. But is it really non-fiction? A few years ago a dedicated researcher uncovered that most of it wasn’t, that Steinbeck slept many nights not in Rocinante but in luxury hotels, that the characters and dialogue were largely fiction, and that not only Charley but also his wife Elaine accompanied him much of the way. That still seems as true now—for us an individuals and maybe for the country as a whole—as when Steinbeck wrote it nearly 60 years ago. Even as I read, I fell into the trap of thinking that the early 1960s seemed preferable to the times in which we live, that Steinbeck’s America wasn’t filled with hyper-wired know-it-alls who are divided hopelessly into partisan tribes. But of course I know better. The past always looks seductively more understandable and simple than our own times, just as another geographic space seems to offer more or less, depending on what you want, than where we stand now. Travels with Charley—be it fiction or non-fiction—confirms that humans as individuals and as nations are universally restless and unsatisfied, that we always want to go someplace else—in time and/or space—that promises either to bring something back that’s missing or to offer a more fulfilling life than the one we live now. Isn’t this why I play the lottery every week? This entry was posted in Books, Culture, People, Places, Uncategorized, Writers on August 19, 2018 by Stan Deaton. This week we take a break from discussing current reading to talk about another favorite book-related topic: the joys of the used book store. Long-suffering readers of this blog have read about the wonders of the used book sale, which usually only happens once a year. 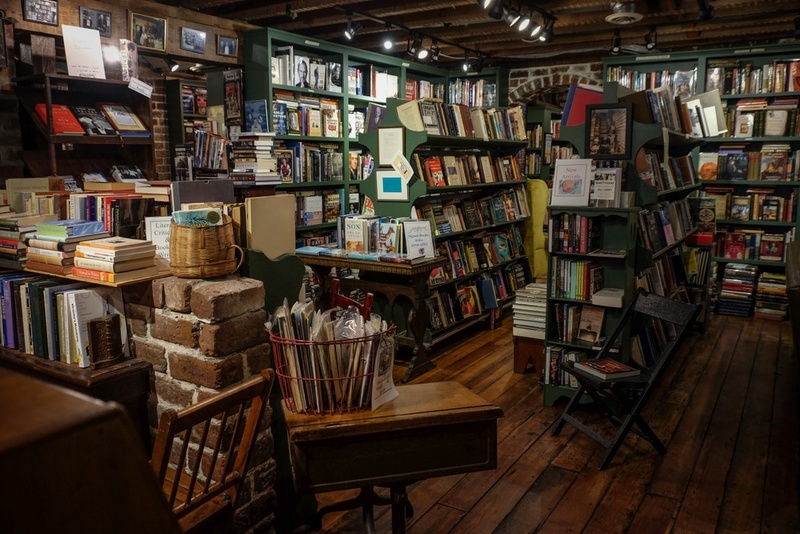 A great used bookstore brings that wonder all the year round. Like the brick and mortar retail bookstores, used bookstores are an endangered species. There used to be one in nearly every town, but not so anymore. I have written before about the legendary Oxford Too in Atlanta’s Peachtree Battle shopping center, which like its parent Oxford Books closed in 1997. The Old New York Book Shop in Atlanta, owned by Cliff Graubert, was another favorite, as was Smythe Books in Dunwoody, owned by my friend Jim Strawn. Both of the latter two are still operated out of the basements of the homes of their owners, and you can call them and peruse their wares by appointment, or find them on the Internet. As an undergraduate at the University of Georgia, I well remember discovering Jackson Street Books in Athens after it opened in 1984. Their history and biography section was a gold mine for an aspiring historian, as so many of the UGA faculty disposed of unwanted books there. Alas, the store closed in 2016 after 32 years in business. There are still some great used bookstores around Georgia, however. This is by no means a complete list, just three of my favorites: the Golden Bough in Macon if you’re traveling on I-75, E. Quinn Booksellers in Blue Ridge when you’re up in the mountains (say hello to Mike when you go), and our very own Book Lady right here in Savannah. A few years ago I made a quick trip to New York and ran out of time before I could visit the Strand, the mecca of all used bookstores at Broadway and 12th. But when in Boston I did visit Commonwealth Books and the Brattle Book Shop in Boston, two legendary venues as well. Back in 2009 I was planning a business trip to Washington, D.C., and was going to have an entire day free in the middle of the week. Readers of this blog know I’m a huge fan of Washington Post book critic Michael Dirda. I sent him an email at the Post and asked what used bookstores he’d recommend in the D.C. area, figuring he wouldn’t write back. He did, immediately, and sent me a complete list of his favorites, including Second Story Books, a cavernous book warehouse out in Rockville, Maryland, where he lives. When my free day came, I took the Metro Red Line to the penultimate stop in Rockville, just before Shady Grove, walked a mile to the warehouse, and spent several blissful hours perusing the stacks. I had to ship everything home, but it was worth every penny. Just yesterday I spent a rainy afternoon in my friend Joni’s Book Lady Bookstore on Liberty Street, and found several treasures. My first pickup was The Golden Argosy: A Collection of the Most Celebrated Short Stories in the English Language (1955), which contains such classics as Stephen Vincent Benet’s “The Devil and Daniel Webster,” Rudyard Kipling’s “The Man Who Would Be King,” and Thomas Wolfe’s “Chickamauga.” I’ve been looking for this one for years, and there it was, for only $7.50. I also found Peter Ackroyd’s The Life of Thomas More (1998), The Church & The Age of Reason, 1648-1789 by Gerald R. Cragg, Jonathan Green’s Chasing the Sun: Dictionary Makers and the Dictionaries They Made (1996), and Arthur M. Schlesinger, Jr.’s massive Robert Kennedy and His Times, the 1978 doorstop that weighs in at well over 1,000 pages, just in time for me to read at the 50th anniversary of RFK’s death. In hardback, yet. Five books at $46 total: taint bad, Magee. Well, you say, used bookstores are okay, but I can buy anything I need, used or new, on the Internet—or better yet, I can download almost any book immediately to my Kindle. And so you can. But if you truly love the printed word, there is nothing like the serendipity of browsing the stacks of a used bookstore. As a book collector, and truly, as a reader, the hours I’ve spent in these vanishing guardians of literary gold have been among some of the happiest of my life. This entry was posted in Books, Culture, People, Places, Uncategorized on July 9, 2018 by Stan Deaton. What creates our identity and makes us the person that we are? Our gender? Our sexual organs? Our DNA and our parents? Our country of origin? Religion and History? This book is the story of her journey to understand her father’s real identity. The title comes from her father’s fascination with photography, and his lifelong habit of using a camera lens to obscure not only the reality in front of him but also his own murky past—and ultimately who he really was. 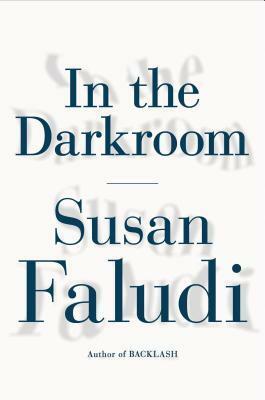 I didn’t think it possible to mix a study of transsexuality with the history of the Holocaust, but Faludi has done it superbly, uncovering layer by layer pieces of her father’s history. The result is a fascinating journey into the meaning of gender, sexuality, history, and ultimately identity. Can we re-invent ourselves and escape who we really are by changing our name and our sexual organs? Is biology destiny? Is that ultimately what creates our identity? 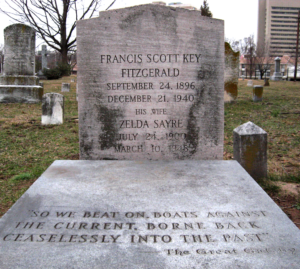 Or is the past unescapable, both for individuals and for nations? Faludi the journalist tells a larger story here as well. As her father reinvents himself, so does modern-day Hungary. She deftly details the rise of the modern authoritarian government there and its quest to “restore” Hungary to its “true” identity, a frightening “pure” Hungarianism that is openly anti-Semitic and anti-LGBT. The clashes on the streets of Budapest reverberate far beyond its borders, across Europe and America. 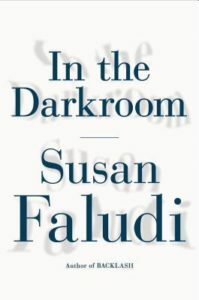 The questions Faludi poses about identity and history are more pertinent and troubling than ever, both for ourselves individually and for our society collectively. Individually, social media allows us to reinvent ourselves as we choose and present a public brand of our own creation, while collectively we are seemingly at war over the meaning of our own history and the story it tells in the public arena. Some of those who decry the removal of Confederate monuments as “erasing history” applauded when Communist statues came down in Eastern Europe and approve now the erasure of slavery from American history textbooks. The answers to the questions about history, memory, and identity remain elusive but astoundingly important. What, ultimately, creates our identity and makes us who we are? This entry was posted in Books, Culture, People, Places, Public History, Uncategorized on May 18, 2018 by Stan Deaton.